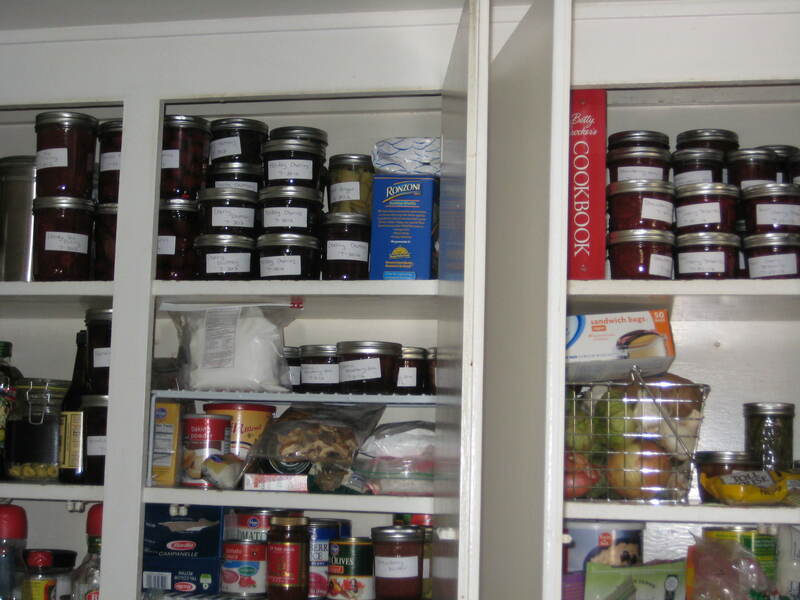 Ok, maybe don’t look at our pantry – it’s kinda a hot mess. For those who are new to canning I thought I’d give you some tips I’ve learned and show you what equipment I use. I’m not going to go into the process of water bath canning because the National Center for Home Food Preservation does a fantastic job here. I wanted to show you my equipment because I know a lot of the canning books/websites insist on getting special equipment and while I have some of it you don’t need a lot of fancy stuff to can. You don’t need to go out and buy yourself a pot specifically for canning. As long as you have one that’s large enough to contain the number of jars needed for a recipe and it needs to be deep enough to cover your jars with at least one inch of water. I just lucked out because Greg got me this for Hanukkah one year. I don’t have one of these, well not a proper one anyways. I use a big pasta pot, mine is non-stick which makes it non-reactive but it could definitely use a little more heft to it. Most canning websites/books suggest either a cast-iron/stainless steel pan (the heftiness of the pan helps to distribute heat evenly) or a super fancy copper preserving pan. Since I’m cheap and I already had the pasta pot it’s what I use. Whatever you use you’ll want to make sure it’s not aluminum as most canning requires acidic food (to kill any bacteria that may try to grow while your jar is chillin in your pantry and help jams set) and acid + aluminum = yucky. While you can get away with using stuff you already have in the kitchen for your canning pot and preserving pan I have found that these three are essential, and thankfully very cheap. The thing on the far left is your headspace measure, each little ridge on the end marks a different amount of headspace. It also doubles as an instrument to get rid of air pockets in jars. I think the funnel is pretty self-explanatory, helps to keep junk off the rims of the jars. The jar lifter is my best friend, I can’t imagine trying to get jars out of the boiling water without one. The last essential that isn’t pictures is a lid lifter. 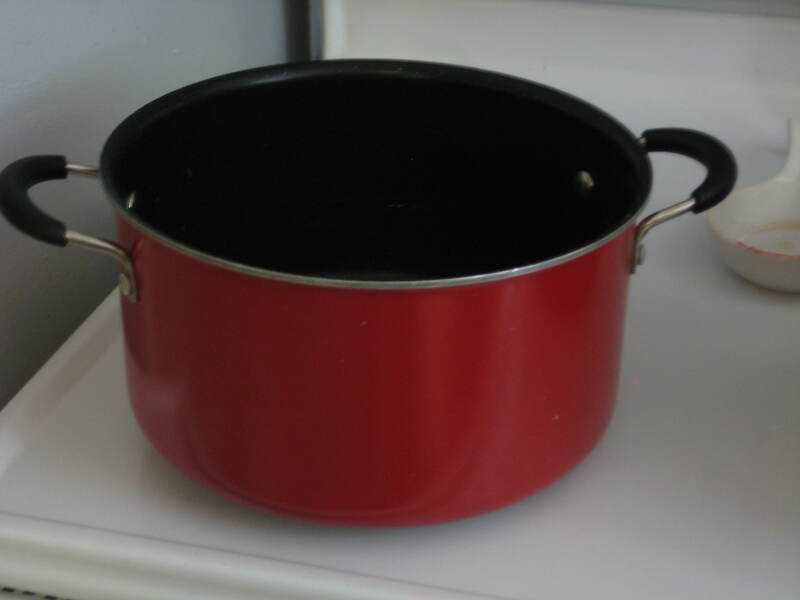 It’s a little plastic stick with a magnet on the end – very useful in getting lids and rings out of hot water. This contraption you can take or leave. 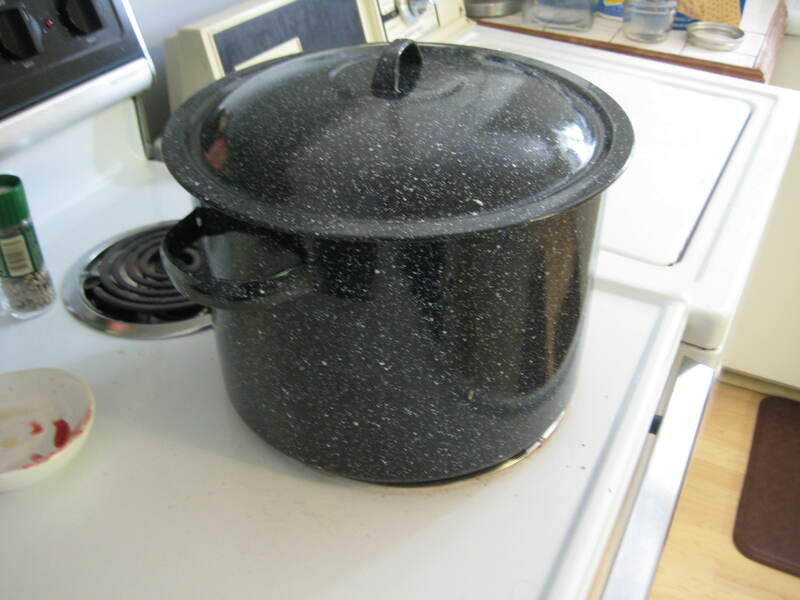 If you purchase a canning pot chances are it came with a rack. 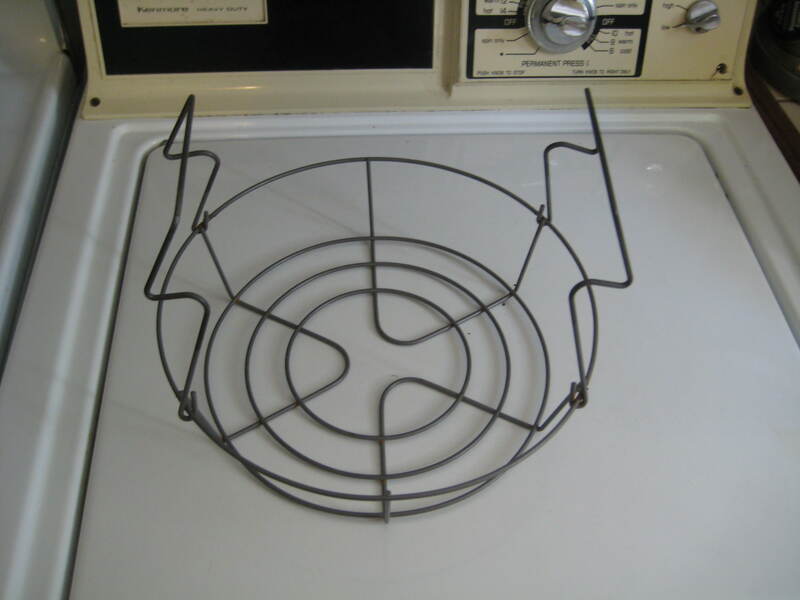 If you’re using a pot from home don’t worry, you can stick a trivet in the bottom of your pot or string together some extra jar rings and put those in the bottom. Either way you want something that will keep the jars off the bottom of the canning pot. That way you have water completely circulating around the jars. You don’t want to boil the lids and rings, at most you want to simmer them. Since I’m usually doing a million things at once in the kitchen I just remove some of the boiling water from the canning pot and add it to a heatproof bowl containing the lids and rings. I make sure to cover the lids and rings and keep them in the water until they’re ready to use. Jar lifter – you’ll want to hold on to the black end and use the rubber end to lift jars in and out of the boiling canning water. 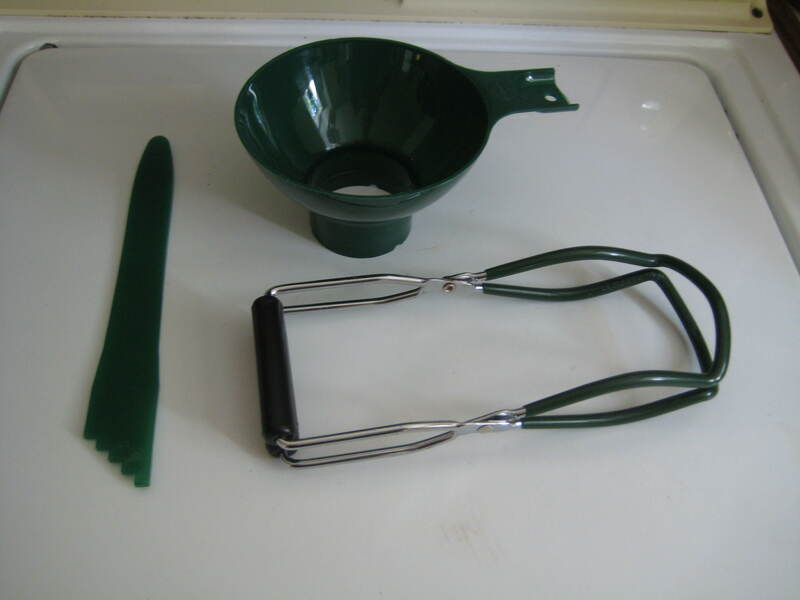 You can replacing the jar lifter with tongs wrapped in rubber bands but you won’t have as good as a grip, so just be extra careful. Finger-tight – most recipes tell you to screw the rings on the jars until they’re finger tight. I take that to mean until it holds the lid down a little. Generally it’s as tight as I can screw it before my fingers feel like they’re going to get burned off from the jar. Fun, canning is addictive, isn’t it? It’s a slippery slope. I started small and now request nearly 1,000 pounds of produce from my favorite farmer each year. Enjoy!